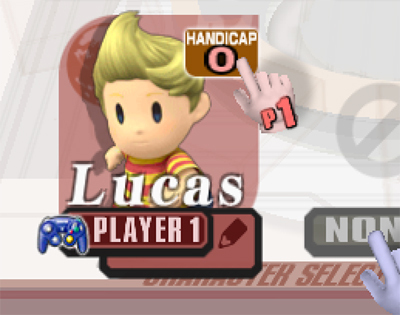 While it’s no online play, Nintendo is giving Wii owners ROMS modified beyond the cosmetic changes we’ve see in Wave Race. 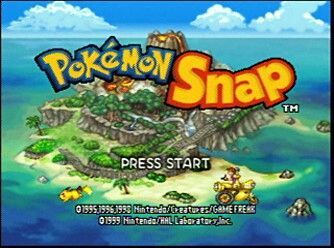 Pokémon snap is being released in Japan on December 4th with the ability to save photos taken in the emulated N64 game to the Wii’s message board and of course been able to transfer these photos to your friends. 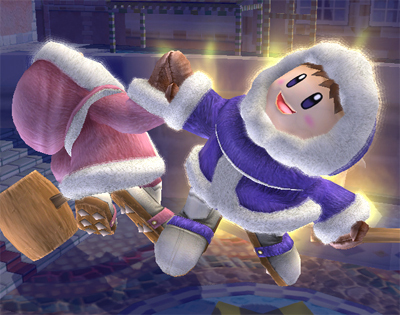 On November 19, the DOJO was updated with information on Ice Climbers’ Final Smash. 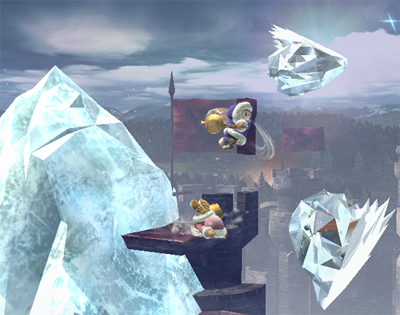 Their Final Smash is a move called Iceberg. 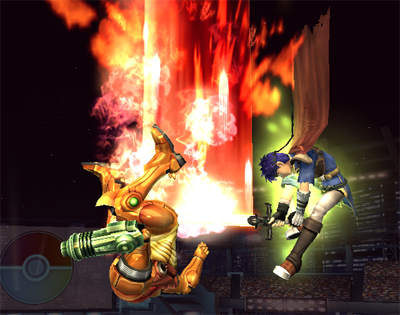 On November 20, the DOJO was updated with information on Training as it appears in Super Smash Bros. Brawl. 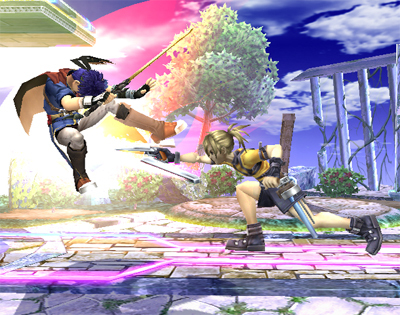 But it appears that, really not much it’s changed from the previous installment. 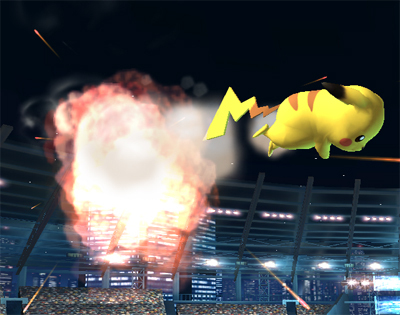 On November 21, the DOJO was updated with information on Smart Bombs. 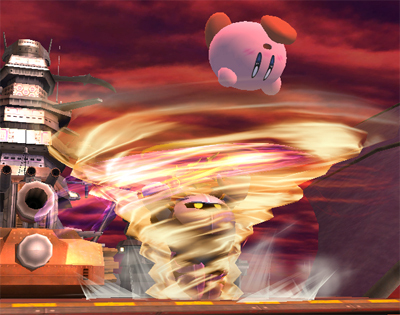 I’m not going to waste your time by insulting your intelligence by explaining what the smart bomb does. 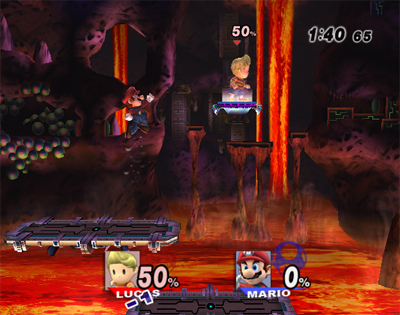 On the same day, the DOJO was updated with information on Color Changes as they appear in Brawl. 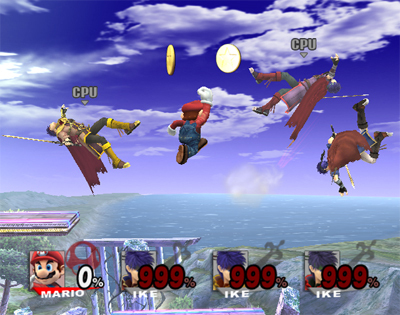 In Brawl, each character has about six different color variations. 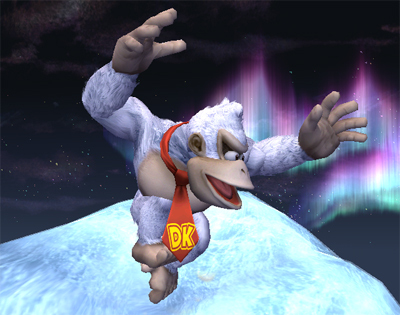 Some of the cool color variations that the DOJO gave us information on include Yeti Donkey Kong, Dark Link, Fusion Suit, Fire Mario, Dark Fox, Zelda of old, and fallen angel Pit. 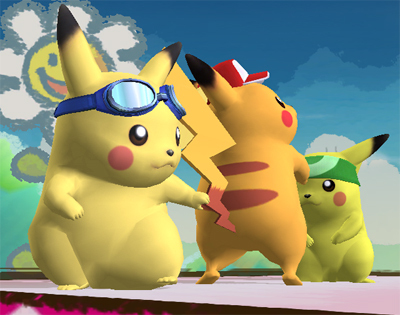 Pikachu will again be differentiated by what hat he is wearing. 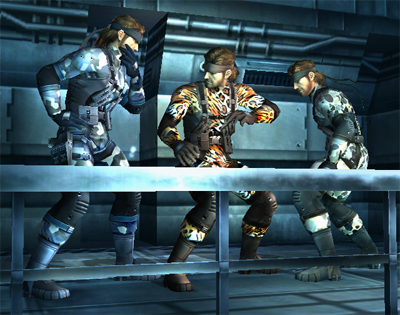 You will also have the option of changing Snake’s camouflage. 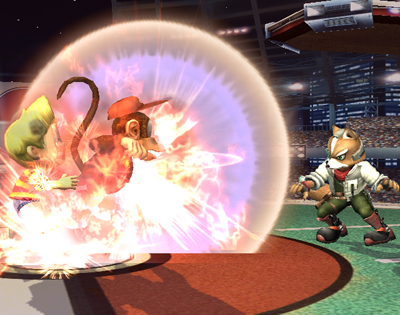 On the November 22, the DOJO was updated with information on Saki Amamiya, an Assist Trophy. 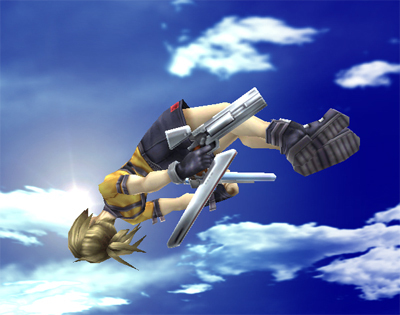 Saki Amamiya is from Sin & Punishment: Successor to the Earth!, a game that was originally release on in Japan, but recently mad an appearance on the Wii’s Virtual Console. 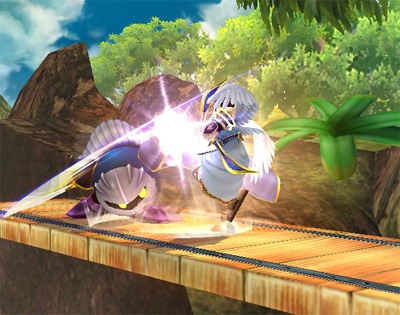 It’s also worth noting that Sin & Punishment might be seeing a new installment on the Wii. 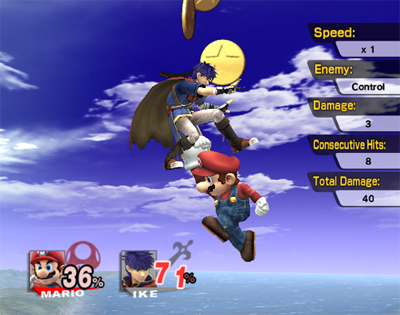 below is an excerpt from Aussie-Nintendo. 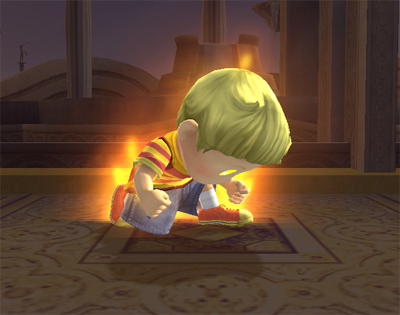 Nintendo Power: When we spoke a couple of years ago, you mentioned that you would like to do a sequel to Sin and Punishment. Has the team given any more thought to that? 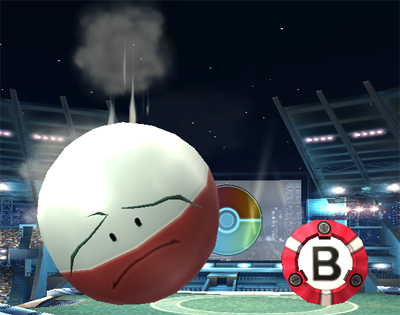 And don’t you think it would be a perfect fit for Wii? 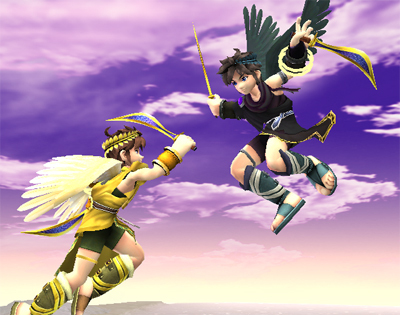 Maegawa: When we were originally working on Sin and Punishment [for Virtual Console], there was some discussion utilizing Wii-like controls, and I think now that we’re working more with the Wii, it is something we’d very much like to try. 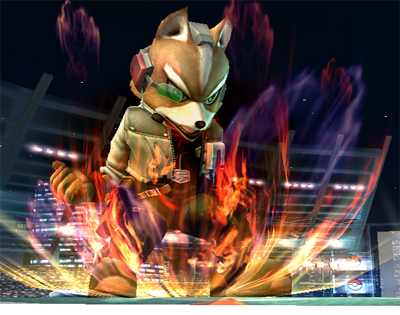 On November 23, the DOJO was updated with information on Charged Special Moves. 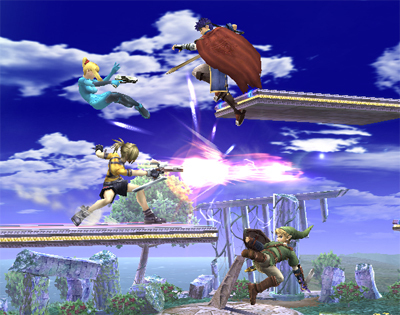 The examples the the DOJO gives are Link’s The Hero’s Bow, Pikachu’s Side Special Move: Skull Bash, Donkey Kong’s Giant Punch, and Samus’s Charge Shot. 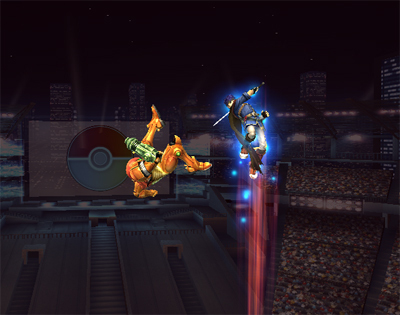 The charging works just as it did in Melee. 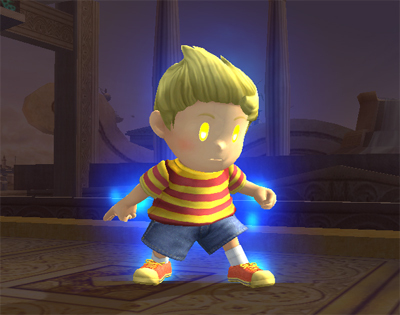 On the same day, the DOJO was updated with information on Lucas’s Final Smash. 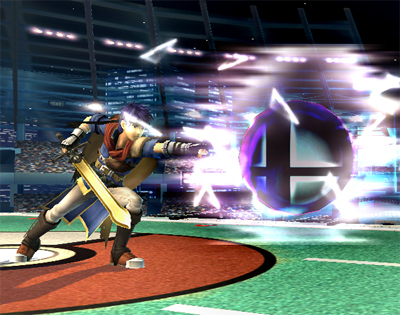 His Final Smash is a move called Starstorm, which is described as “a rapid barrage of meteorlike PSI power”. 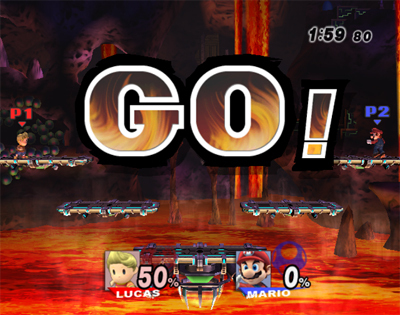 Want to win a Wii? Of course you do. He’s all 48 codes. 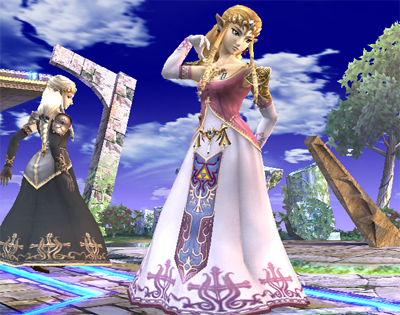 Enter them at Thanxgiveaway.com for your chance to win a Wii. you have until December 2. To the surprise of Japanese Wii owners, Nintendo has release a new channel which translates to Everybody’s Nintendo Channel. The new channel offers things that many Nintendo fans have been asking for. First of all the channel offers footage of upcoming and released games. The new channel also offers the ability to transfer a free downloaded Nintendo DS demos, and other forms of news and what have you. No word on when this channel will be offered in the United States and Europe, it is most likely that the channel will come without any notice before its release. Below is a video I found on YouTube that shows off this new Channel. Let’s hope you all survived the long holiday weekend. With all the eating, traveling and family fun, isn’t it time to do something just for you? So take a few minutes and do a little shopping from the comfort of your couch, away from the chaos of the malls. This week you can get into a game of hoops, do a little faux gambling or head out to sea with your favorite dolphin friend. DOUBLE DRIBBLE™ (NES®, 1-2 players, rated E for Everyone, 500 Wii Points): DOUBLE DRIBBLE, the first 5-on-5, full-court home basketball game, is pure hoops action at its finest. 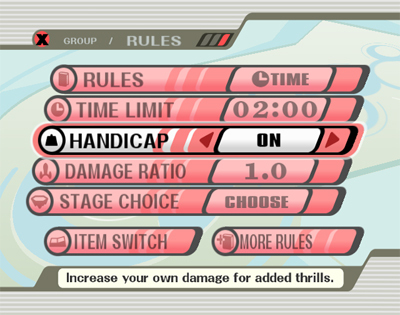 While still a surprisingly accurate basketball game for its time, the frantic action keeps you on your toes as your players run from one end of the court to the other. 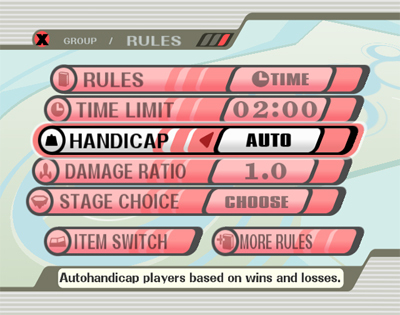 Choose from a handful of teams and multiple levels of difficulty as you take on the computer alone or challenge a friend and see who has the better skills. Take the ball and sink shots from locations all over the court, or get in your opponent’s face and do your best to block the shot. Better yet, drive the lane and rock the rim to see one of the game’s trademark slam-dunk cut scenes. He shoots, he scores! Vegas Stakes™ (Super NES®, 1-4 players, rated E for Everyone – Simulated Gambling, 800 Wii Points): Feel like taking a road trip to Las Vegas? Let your inner high roller go wild as you try your luck at five different games-blackjack, slots, poker, craps and roulette. Start with only $1,000 in your pocket and play your way through five casinos, each with a different theme and varying limits. 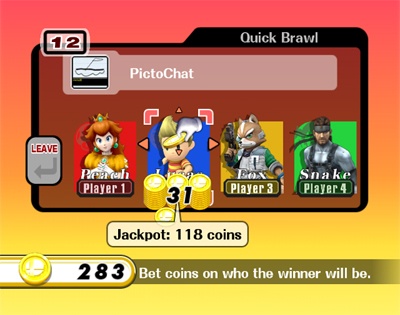 But no one wants to gamble alone, right? 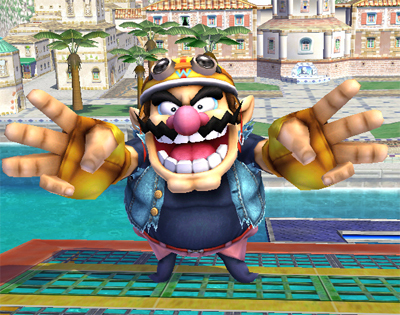 Not a problem, as you’ll be able to choose one of four friends to tag along and offer advice when you need it. Further enhancing the experience is the fact that you’ll be presented with a slew of interactions with random casino patrons. Best be careful, though-your choices in these situations could either get you closer to the millions of dollars you’re after or cost you a pile of that hard-earned cash. Roll the dice, spin the wheel, hit or stand-do whatever it takes to stake your claim in Vegas and beat the house! Ecco Jr.™ (Sega Genesis, 1 player, rated E for Everyone, 800 Wii Points): The aquatic adventures of Ecco come to life for a younger generation of gamers. Perfect for kids, Ecco Jr. finds our young hero heading out to sea with a variety of tasks he must perform in order to get there. Along with his friends Tara the baby orca and Kitnee the young Atlantic dolphin, Ecco Jr. will interact with sea lions, sea horses and other aquatic life as he makes his journey to the Big Blue. Introduce your kids to the classic series of Ecco the Dolphin titles by downloading Ecco Jr. today. 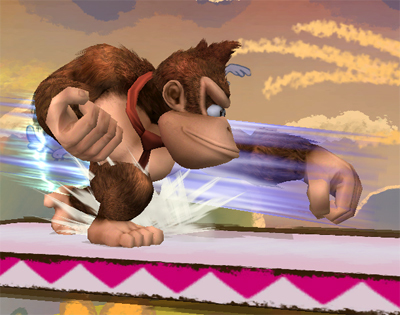 For more information about Wii, please visit wii.com. 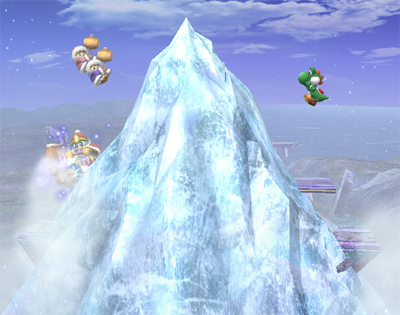 Super Mario Galaxy‘s spot at the top didn’t last that long. 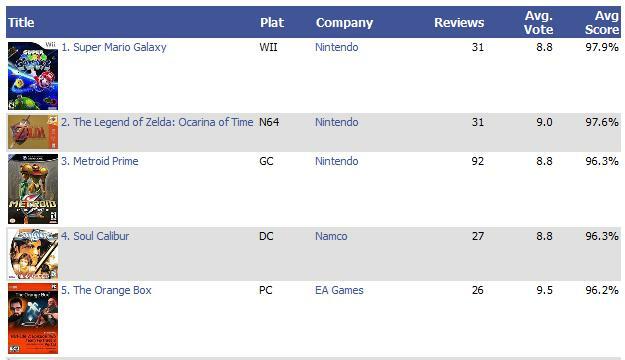 It appears that some more ratings were added to the collection at Game Rankings, pushing Super Mario Galaxy down to number two on the list. 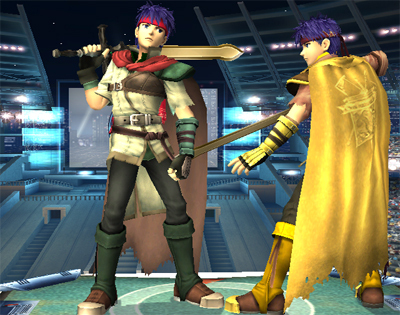 On November 12 the DOJO was update with information on Ike’s Final Smash. 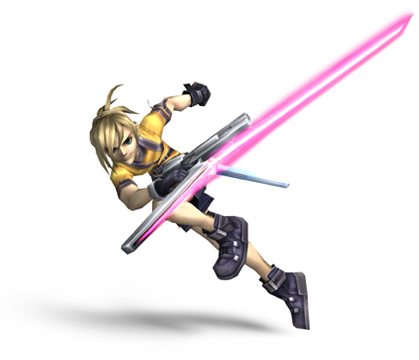 His Final Smash is a move called Great Aether. 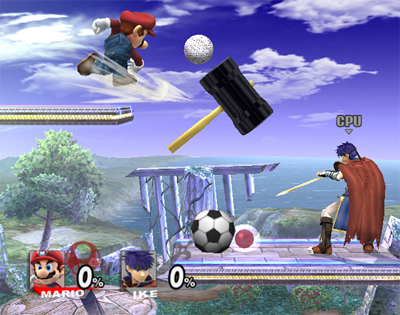 After getting the Smash Ball, you have to do his standard special move, after that he and his sword comes swinging down, on impact with the ground, his enemies(or enemy in multiplayer brawls) are launched. 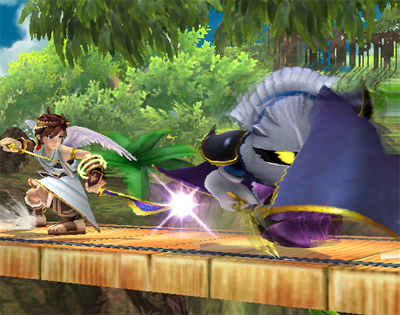 On November 13, the DOJO was updated with information confirming that taunts would once again make an appearance in the Smash Bros. series. 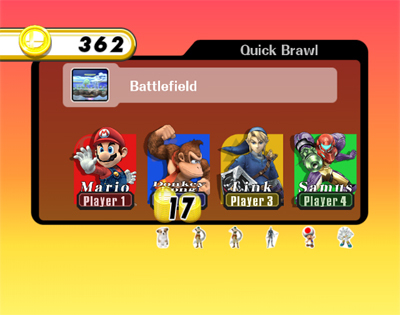 Brawl will feature three different taunts for each character, and the user can select which taunt to use. 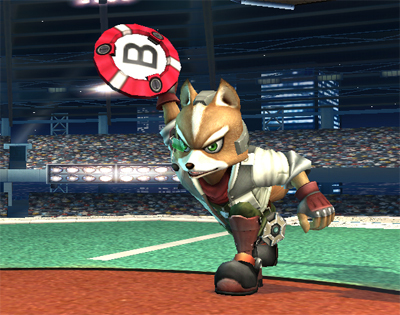 On November 15, the DOJO was updated with information on Handicaps as they appear in Brawl. 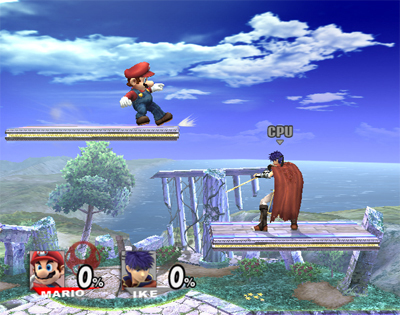 The Handycap in brawl is much more customizable in Brawl, than it was in previous games in the series. 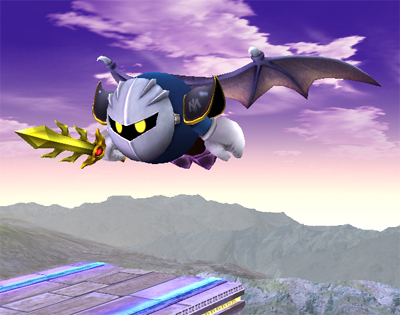 On the same day,the DOJO was also updated with a preview of Kirby: Meta Knight’s Revenge. 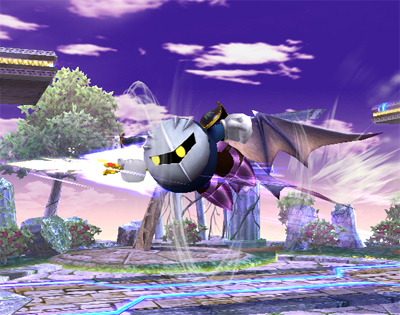 On November 15, the DOJO was updated with information on Meta Knight: Special Moves. 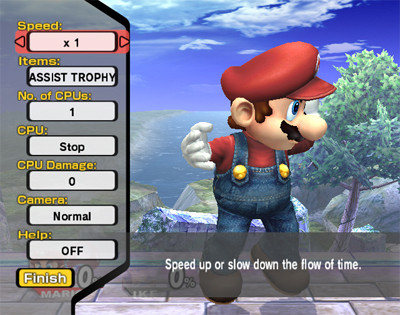 His Standard Special Move is Mach Tornado; His Side Special Move is Drill Rush. 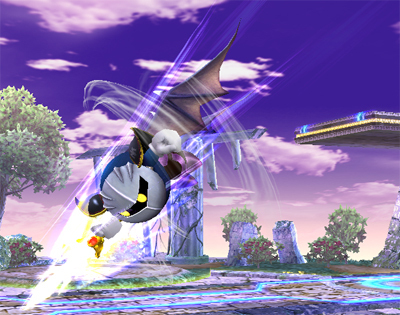 His Up Special Move is Shuttle Loop. 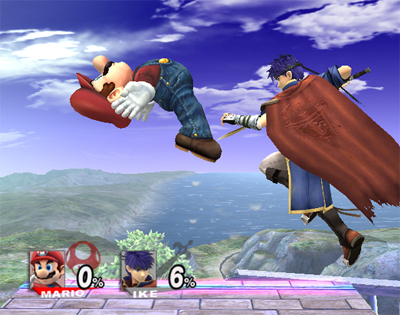 His Down Special Move is Dimensional Cape. 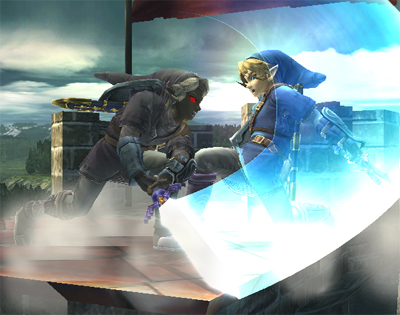 On November 16, the DOJO was updated with information on a game mode called Spectator. 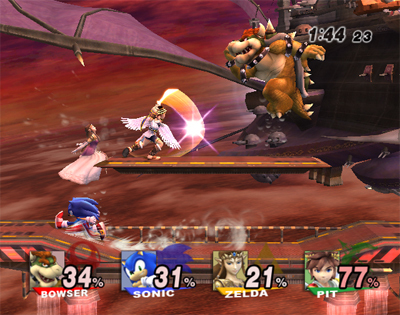 Basically in Spectator, you can watch games played on the Nintendo Wi-Fi Connection. 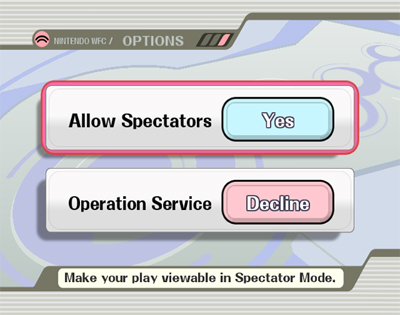 You can opt to not allow spectators, but why would you? 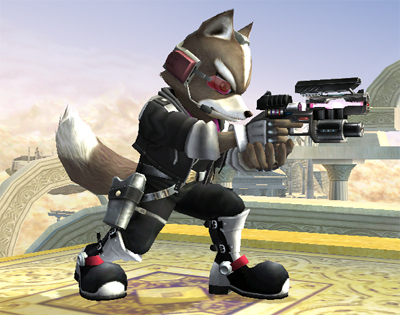 It seems like it was just yesterday, when I was waiting 12 hours in line for the Wii, but it’s actually been a full year. 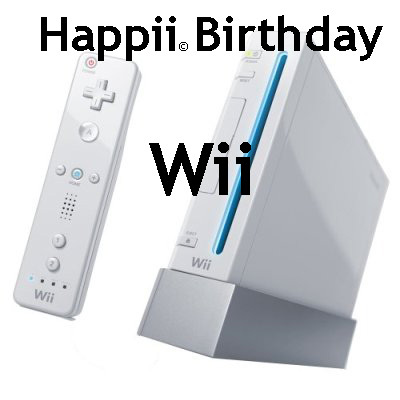 Happy Birthday Wii!, hopefully the next year will be just as enjoyable as the last. 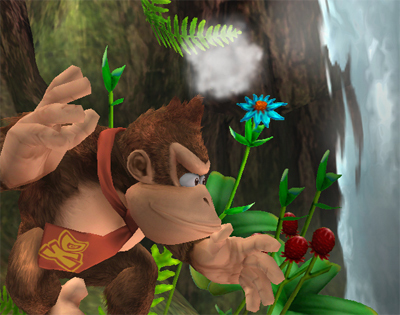 Wii™ celebrates its first anniversary today, and big stars from past consoles are coming out to help Nintendo celebrate. 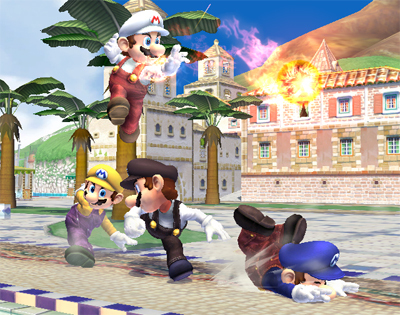 Luminaries walking the Virtual Console™ red carpet this week include Mario™ and Luigi™, Sonic The Hedgehog and Zonk. 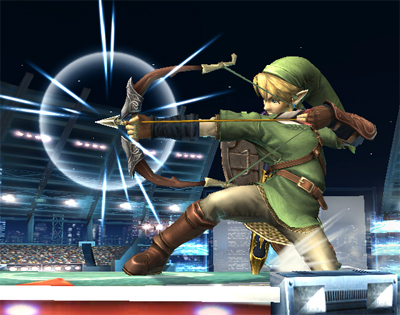 So throw on your best tuxedo or finest gown, and get ready to party with these video game A-listers. 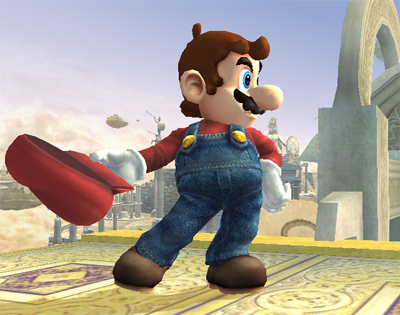 Wrecking Crew™ (NES®, 1-2 players, rated E for Everyone, 500 Wii Points): In the days before Mario and Luigi became sports stars in their downtime between plumbing and saving the Princess, they tried their hands as one-man wrecking crews. 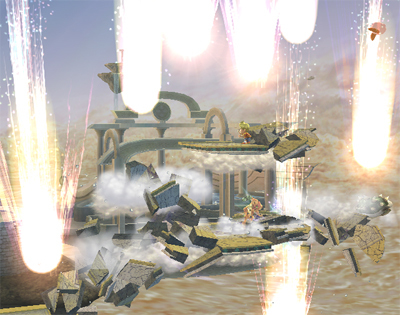 With a hammer as their only tool, players take control of the brothers and set out to destroy ladders, rip out pipes, knock down walls and detonate explosive devices. But make sure to plan your path of destruction carefully, as each building is designed as its own clever puzzle—if you’re not careful, you can easily trap yourself in a dead end. 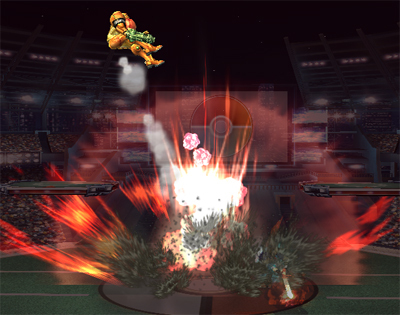 Adding to the excitement and challenge are fireballs, enemies and an angry foreman roaming the buildings. They’re all trying to stop you from moving on to the next stage. 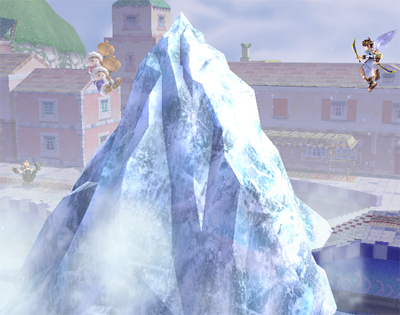 With 100 buildings to demolish and the ability to construct your own, it’s a wonder Mario and Luigi ever got back to saving the Mushroom Kingdom. Sonic 3D Blast™ (Sega Genesis, 1 player, rated E for Everyone, 800 Wii Points): The evil Dr. Eggman (aka Dr. Robotnik) stumbles upon an alternate dimension where some odd birds called Flickies have the ability to travel anywhere. 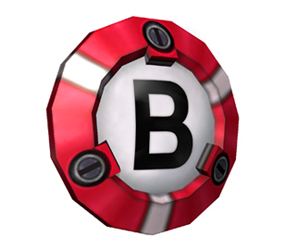 In order to get help in his search for the Chaos Emeralds, Dr. Eggman transforms the Flickies into robots that will help him track down his coveted gems. 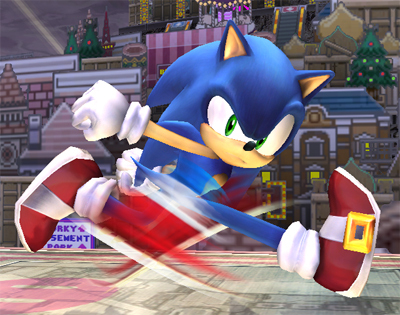 Of course, it’s up to our favorite blue hedgehog, Sonic, to step in and save the day. 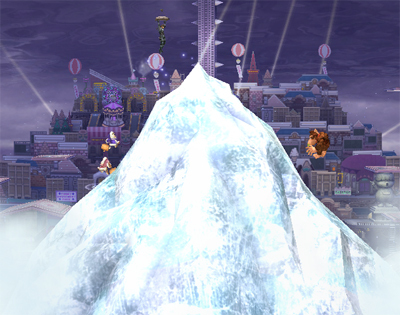 Jump into this 3-D adventure as Sonic or his buddy Tails, and collect the golden rings to help free the Flickies and defeat the doctor. Super Air Zonk (TurboGrafx16 CD-ROM, 1 player, rated E for Everyone – Mild Cartoon Violence, 800 Wii Points): Zonk is back in Super Air Zonk, the sequel to the shooting game spin-off of the Bonk series, Air “Zonk.” Now moving to a rockabilly beat and able to transform into nine different characters, Zonk lets loose through seven action-packed stages in another battle against his arch nemesis, SandroVitch. 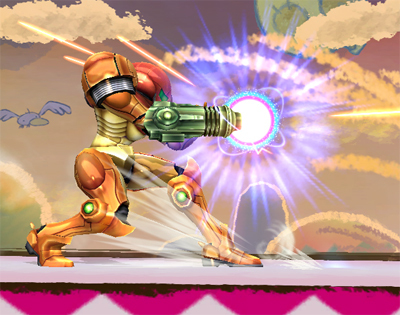 Power up Zonk with the classic Meat item, eventually turning him into the champion of justice, Ultra Zonk, or the fearsome Tyrano Zonk in the latter stages of the game. 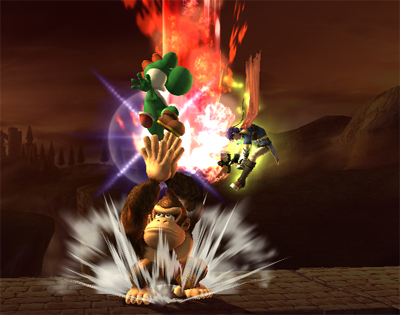 After rescuing his friends from enemies, Zonk can also morph with them to combine powers. 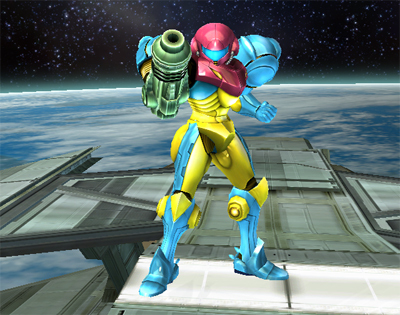 Fight enemies with killer tunes belted out from a trusty microphone. Hurl freshly made sushi at them. 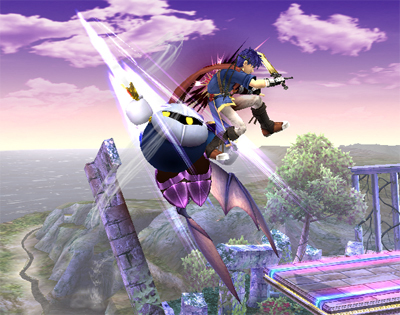 With its variety of wacky attacks, Super Air Zonk has a sense of humor all its own. I forgot to post this, along time ago. 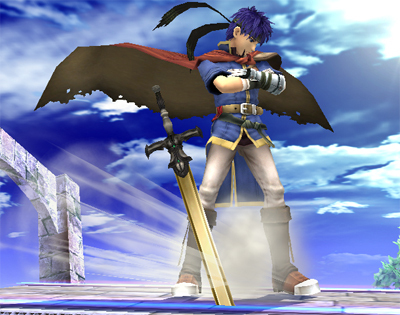 Nintendo is adding the capability for people to send your friends Virtual console games. First you go to the Shop Channel, then you select the title you want to send to your buddy. Click to send to your friend, you can also enter a message to go along with the gift. 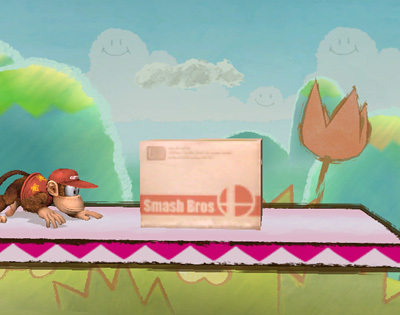 After that your friend will get the message, in a special envelope. 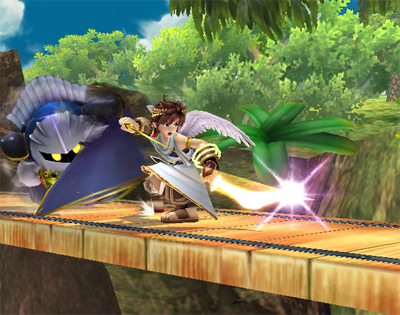 I think this might use a special blue light pattern, like the ones I talked about long ago. 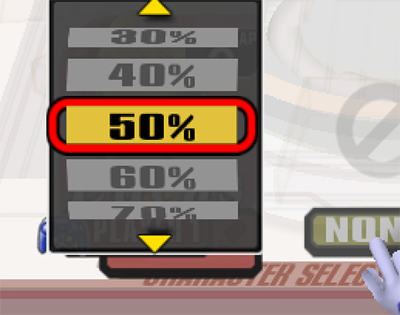 At this point your friend should push “initiate” icon to activate the Wii Shopping Channel. Then they should choose to download the present, to start to download. Below is a video that illustrates the new Gift Exchanging Feature. 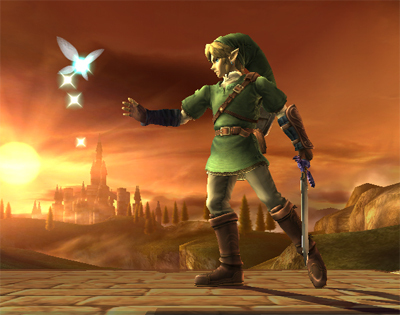 Super Mario Galaxy Better than The Legend of Zelda: Ocarina of Time? 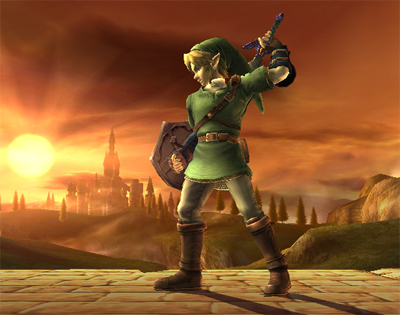 Super Mario Galaxy better than the The Legend of Zelda: Ocarina of Time? Well the reviewers have spoken, and apparently it is. 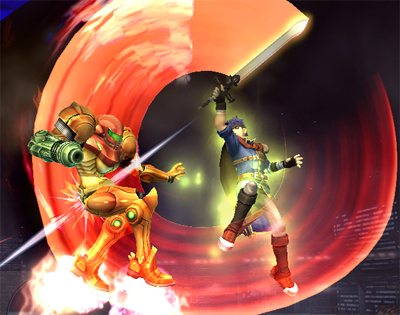 Super Mario Galaxy has an avrage rating of 97.9%, 0.4% more than The Ocarina of Time‘s rating. 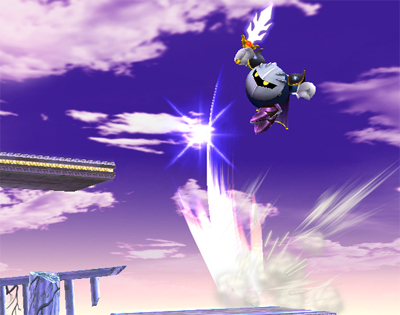 Super Mario Galaxy might actually go down as the greatest game of all time. 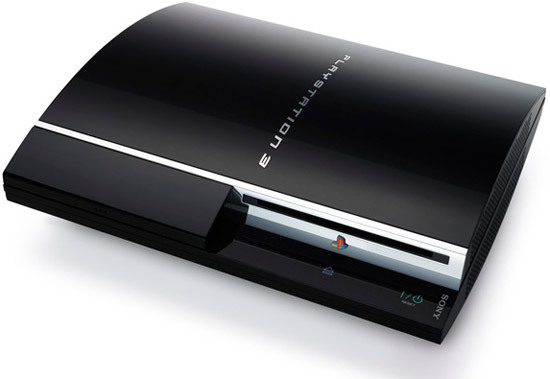 The PlayStation 3 is definitely more of a computer than an actual gaming system, but it appears that the Playstation 3 may actual need a Anti Virus program to protect your delicate Playstation 3. Trend Micro Total Web Security Service became available on November 8, and will be free of charge until the end of April 2008.